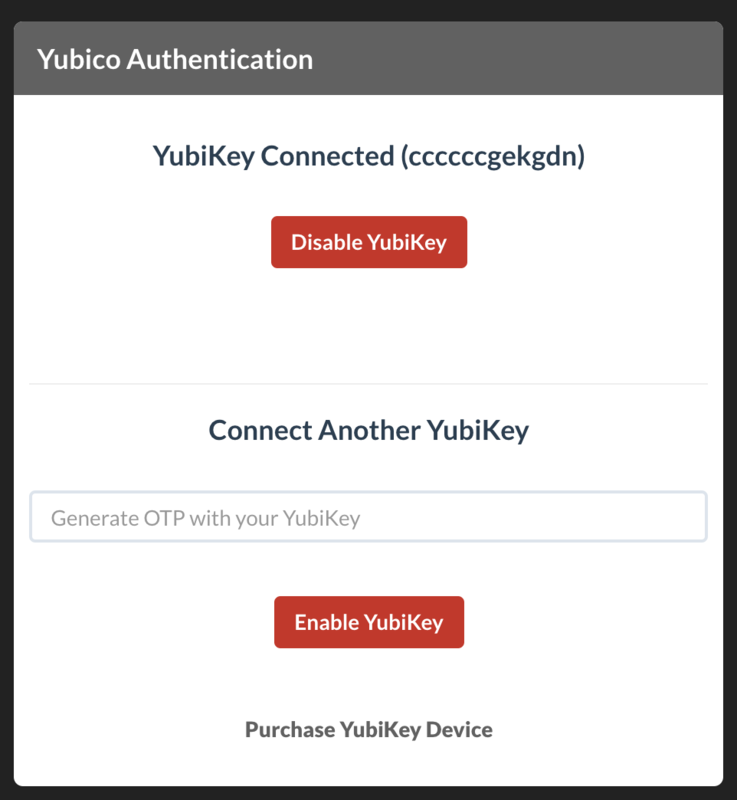 Enable Yubico YubiKey two-factor authentication to increase the security of your status page by protecting from brute-force attacks and stolen credentials. Obtain a YubiKey device. They are available for purchase directly from YubiCo. Login to the Dashboard and navigate to the Account view. 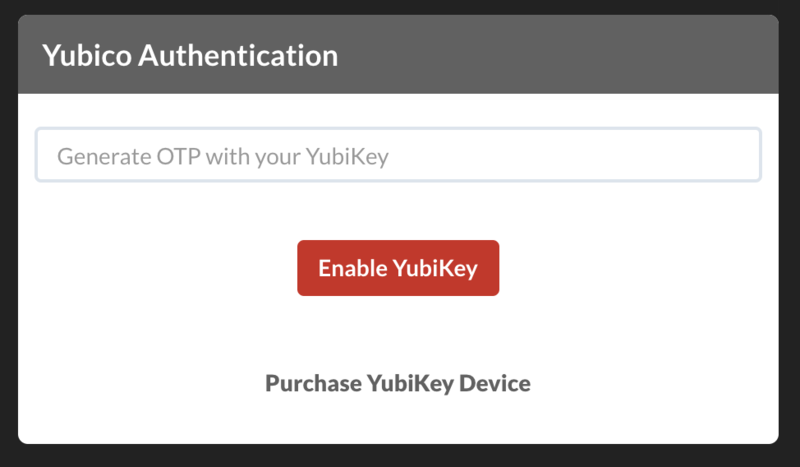 Enter your OTP generated by the YubiKey in the Yubico Authentication box. If the YubiKey connection was successful your account will show the YubiKey ID. Optionally we recommend adding another YubiKey to your account. This helps to protect against lockouts if you were to lose your original YubiKey. Pro Tip: The team owner can posses a single YubiKey and use it as a backup for every team member in their account. 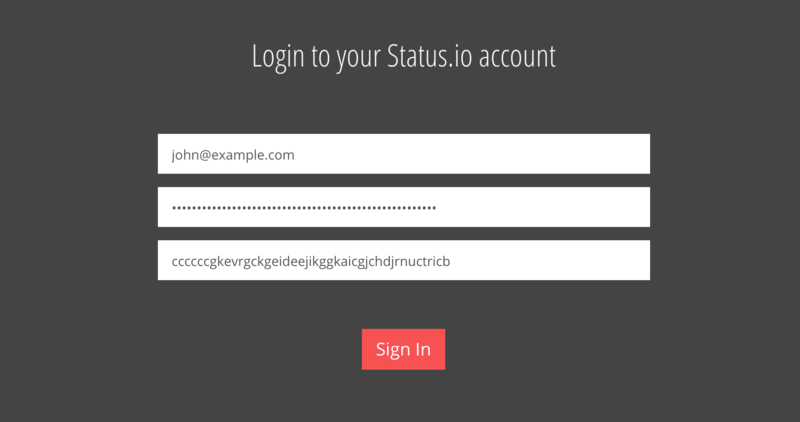 Every time you login to Status.io, simply tap your YubiKey while selecting the OTP field.